The minuteman EN600 UPS for computers is designed to protect your computer. Is a small UPS that can be wall-mounted or placed under or on your desk. 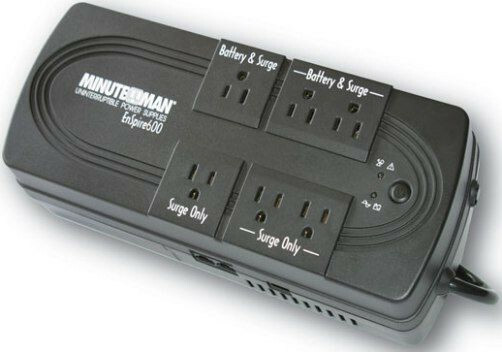 The Minuteman EN600 UPS for computer has two transformer spaced outlet that are a perfect fit for AC adapters.